In 1972, the president of Uganda announced a countdown: the British Indians within the country have ninety days to get out. Sabine is Indian by heritage, but she and her mother, father, and brother are Ugandan citizens, so they are hoping that they’re safe. However, things get complicated when Sabine’s uncle disappears and she suspects it’s because he’s been imprisoned, or worse. To make things more confusing, Sabine and her best friend, who is a Ugandan, fight about their loyalties. Through it all, Sabine tries to be brave for her family, take care of her little brother, and understand the racism and socio-economic divide between the Indians and Ugandans in Uganda. In the end, she finds herself growing and being stronger and braver than she ever thought was possible. There’s a lot going on in this book: political strife, a government kidnapping, racism, class tensions, issues with gender identity and special needs, and fights between friends. I actually think that each separate thread in the novel could be a story in itself, but the setting is interesting and not very well-known. That alone makes the story worth reading. Nanji, Shenaaz. 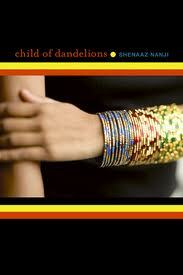 Child of Dandelions. Front Street Books: Honesdale, PA, 2008. 214 pages. Ages 12-16. ISBN 978-1932425932. If you like this book, try Chain of Fire by Beverly Naidoo, or Frances Temple’s Taste of Salt: A Story of Modern Haiti. Posted on March 5, 2011 March 17, 2011 by ShannaPosted in ALA/YALSA Best Fiction for Young Adults, Fiction, Historical, YA LitTagged identity, India, persecution, prejudice, racism, special needs, Uganda, war.